Passive earnings are very popular lately, with masternodes and staking becoming more popular. Many people try various things such as lending programs, investment schemes and more but those turn out to not be legit. Various sites such as Bitcoin cloud miner sites offer high returns (think Bitconnect) and try to run off with your well earned money you invested in cryptocurrency or got for free with the various faucets on the internet. Or maybe luck from mining a successful cryptocoin on early. With this small guide you can earn cryptocurrency with no work at all! After clicking on the green button you are led to a different page, stay on that page and let the videos run. 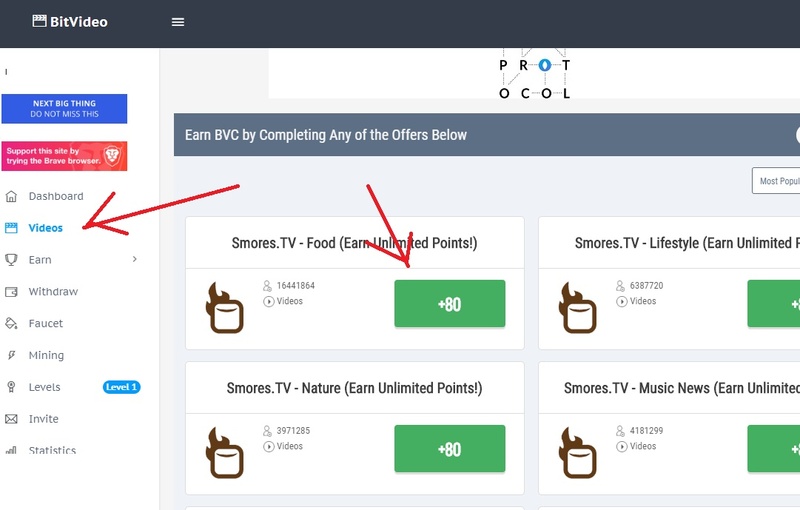 Once in a while an advertisement will come by, and you will earn free points. This depends on what country you are from. It is a better earner when you are from the US. 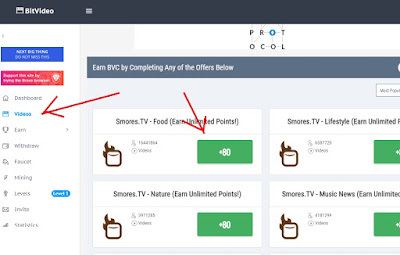 Other options on the site to earn are faucets and offers, altho not passive they can be very good earners since they usually pay more than passive money. One of the biggest and oldest faucets that is out there. You can earn interest every day by clicking their faucet, and claiming the reward. When you earn 0.0004 BTC on the site, you are eligible for free compound interest on your account. The funds from the interest are generated thro funding the bank roll for the dice game, and their mining operation. (Currently their pool is mining 0.01% of the total network) Making this a legit way to get some interest on your BTC without any risk at all. Added bonus is that their faucet has no advertisements for claiming! This one requires effort, but can earn you a lot of passive BTC! Simply sign up to blogger.com and make a blog. Think up a creative name, and a subject. Most people choose a topic they have knowledge on so they can write as much as they like and stay interested in the project of building a site. After making your site go here and download a theme. These are 100% safe themes. After downloading unzip the files and look for the XML file. Upload the theme there. Go back to theme and click on Edit theme. 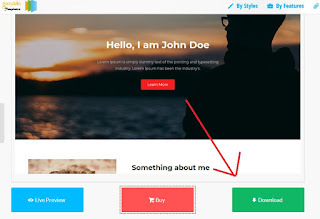 Here you can easily change various things to customize your blog. It looks very overwhelming, but you can press CTRL+F to find a word, and change it from there. Press on save when you are happy with your changes on your new BTC making blog. To get BTC, you need articles first. Without content there is nothing to visit, so no visitors. And you need visitors to earn income with advertisements. Write a couple articles. If you have difficulty deciding read this small guide on how to SEO. It will help you understand how to pick new articles, how to write them and how to make sure to show up in the Google results. After you uploaded your content go here. This is a list with a bunch of adnetworks that pay you in Bitcoin for showing their advertisments on your site. After signing up with an adnetwork you get the code to add to your site. Go to your Blogger dashboard and click on design>add new gadget>add HTML and add the code there and save the theme. After saving you can check the blog and you will see the advertising placed. From that point on you will earn money for visitors. When you write a couple of good articles and get your first results you earn passive incomes from that site.